Caleb Harper’s path to becoming a farmer has taken some detours along the way. Though his family was involved in agriculture and the grocery business, Harper didn’t want to follow in their footsteps. Instead, he left Texas and became an architect and engineer. But it wasn’t until a trip to the area near Fukushima, Japan, right after the devastating tsunami in March 2011, that he decided to apply his design skills to feeding people. “So, it was in that very small place that I was inspired to say, ‘Okay, well, if you can’t use the world you have, then you could just create a new world.’” The new “world” that Harper created fits neatly into a pink glowing box. One of Caleb Harper’s scalable Food Servers that uses hydroponics and aeroponics to grow food. Caleb Harper’s farm sits in Cambridge, Massachusetts, and is the size of a shipping container. Here, at the Massachusetts Institute of Technology Media Lab, where Harper is now a research scientist, crops like basil, broccoli and even cotton are flourishing under LED lights. He created these “food computers” as a tool for the next generation of farmers. Each system can be built in sizes ranging from a desktop model to a shipping container. Inspired by his work designing climate-controlled data centers, the farmer programs the chamber to create a specific environment. Variables like carbon dioxide, temperature, humidity and minerals are all customizable. “Finding the Next” full episodes will release Mondays on ABCNews.com and ABC News’ mobile apps. The entire series is available now on ABC News apps on Apple TV, Roku and Xbox One. 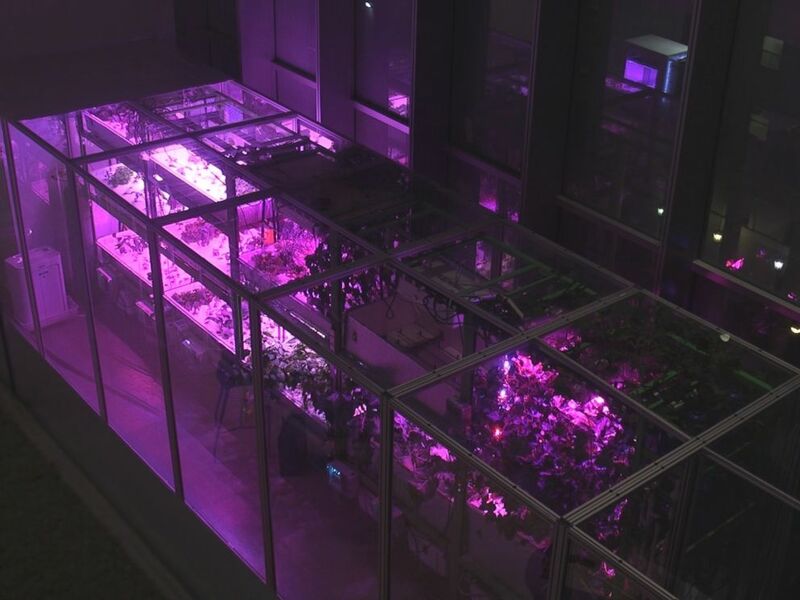 The glowing pink box contains plants, sensors, meters, grow lights, irrigation pumps and chemical dosers. Harper said that his crops are able to grow much quicker inside the box than in a field. His plants also require less water and travel far less distances to the dinner table. Caleb Harper of MIT constructs food computers to help change the landscape of our food system. But Harper doesn’t want his food computer to live within the confines of the MIT Media Lab. 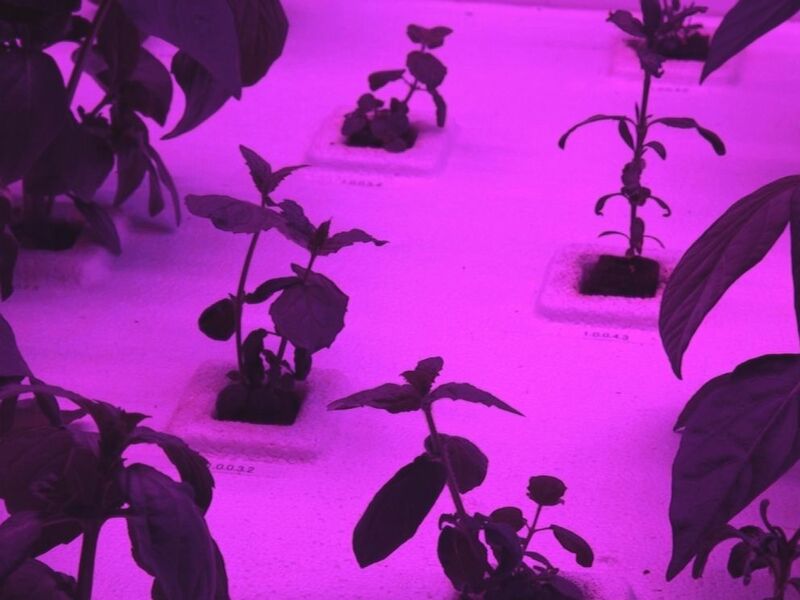 The future of agriculture, he said, could include these hyper-efficient growing systems in households from Antarctica to the Sub-Saharan Desert. “You might have one at your house, at your school, you might have it underground. In places that are too hot, you could have subterranean food data centers in the future.” Harper said. To achieve this goal, Harper has made his work open source. Aspiring farmers can download directions on how to build their own food computer, share their data, exchange “climate recipes” for uploading onto their own systems and keep up to date with software improvements. To encourage young people to “hack” the food system, Harper and his team has distributed food bots to Boston schools. At a recent assembly at Shady Hill School in Cambridge, Massachusetts, Harper spoke about his project to a group of elementary school-age children. For more stories from our “Finding the Next” series, just “star” this story in ABC News’ phone app. Download ABC News for iPhone here or ABC News for Android here.